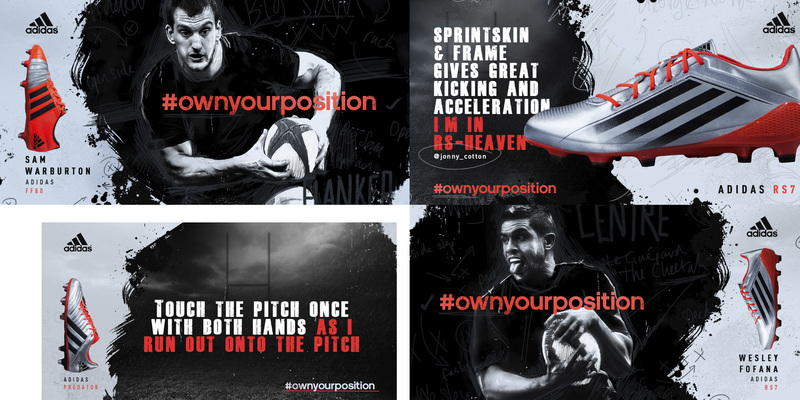 As Adidas UK's preferred social creative content provider, we have worked across many Premiership Rugby team kit launches, Adidas Rugby boot launches and Six Nation campaigns, as well supporting several All Black global kit launches. Ahead of 2017 Six Nations, Adidas UK asked Knight Studios to create some dynamic and engaging static and motion creative content. As with previous tournaments, the challenge was using images with no team kit but that still told the story and promoted the boots that player used. The creative was textured, vibrant and when brought to life in motion, was super-dynamic and impactful. 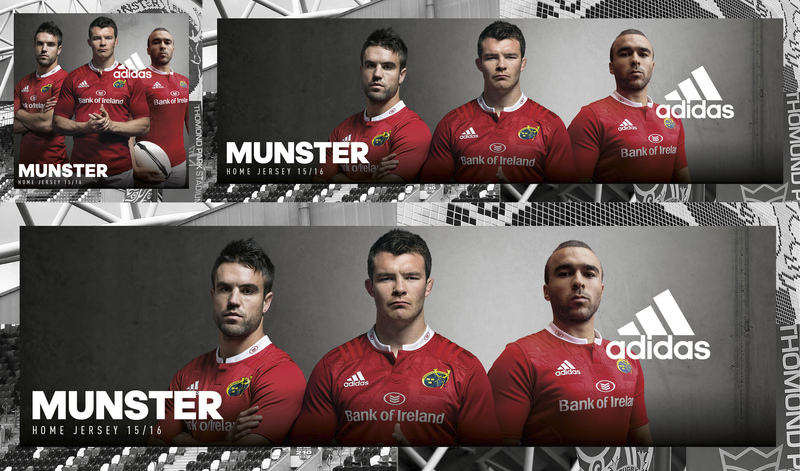 To support the launch of the 2015/16 kit launch, for Irish side Munster, we helped to create marketing and social content for the campaign. Hard, sharp background photography was layered and positioned to form a border around the main campaign imagery. The concrete wall behind the players sat perfectly alongside the player's granite stares, with the typography and branding used confidently in it's size and positioning, adding to the layered solution. 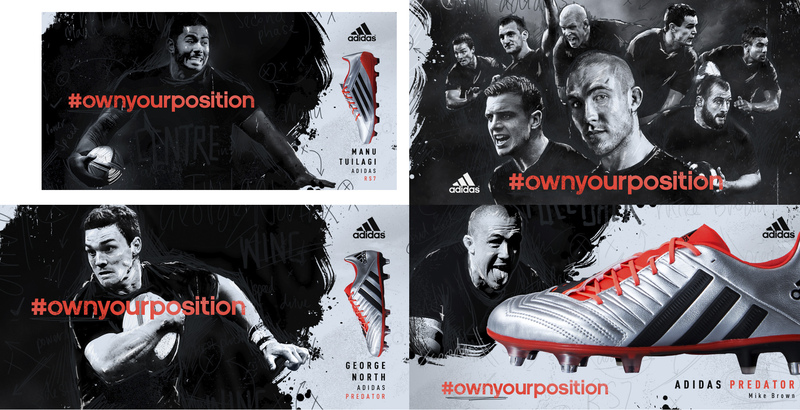 For the launch of the new Adidas Rugby boot range, ahead of the 2016 Six Nations tournament, Knight Studios were asked to create a unique campaign creative for use across all social channels to promote the boot through the sponsored players and their celebrated performances. The boot design gave us an amazing silver and fluorescent orange to base our designs around, which helped set the tone perfectly – loud, confident and striking. To balance the fierce palette, we applied mud smears and blood splats with stud scratches and hand-drawn tactical game plans. 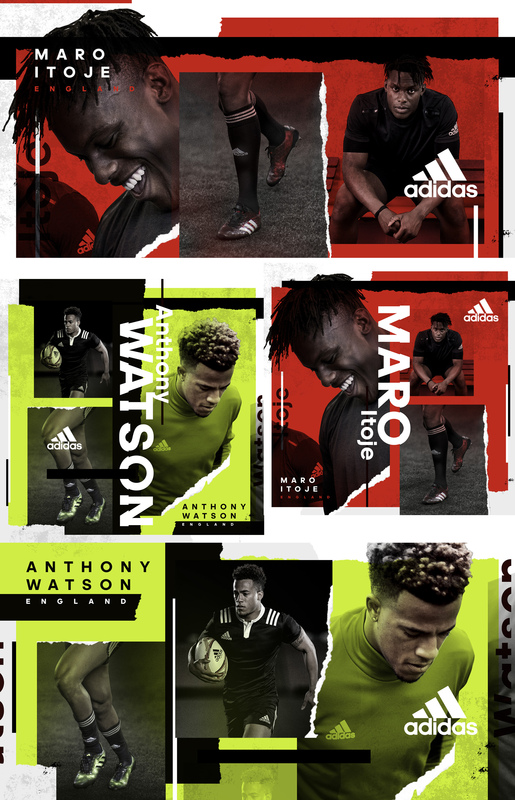 As Adidas is not sponsor the Six Nations kit sponsor, we chose not to show any kit at all and instead applied the background sketch affect to the players, helping to give a unique edgy design solution. 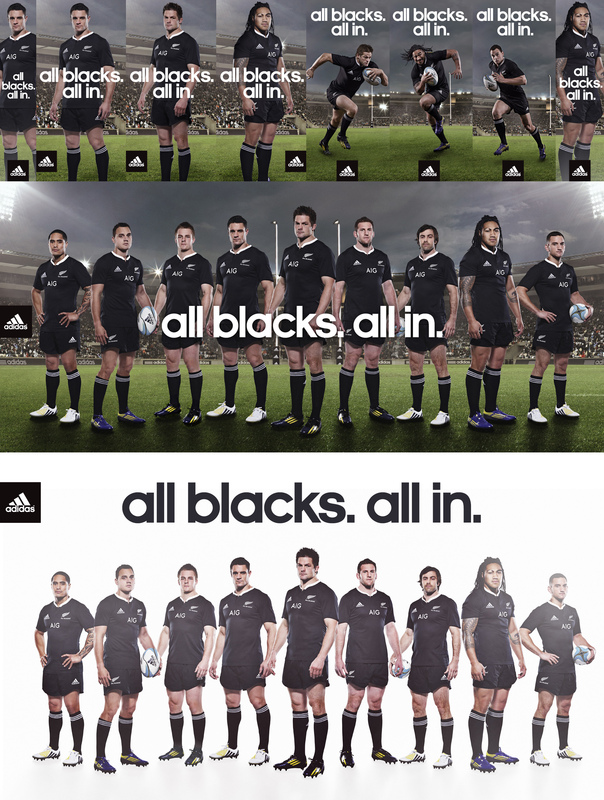 To support the campaign for the All Blacks kit launch, we created a digital toolkit for Adidas UK's retailers, enabling them to quickly advertise and market the kit nationwide. The toolkit was so successful, it was then re-used as a template for the next kit release the following year.